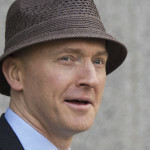 No one heard much about Carter Page, PhD during the 2016 campaign. 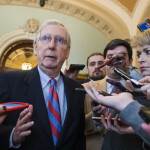 Senate Republicans don’t seem to see the Mueller report’s release as cause for celebration. There was so much to read, synthesize and share in the nearly 500-page special counsel report that we couldn’t possibly catch every possible thread when it was finally released on Thursday. Below is our roundup of the most interesting nuggets in Robert Mueller’s document that we didn’t have a chance to get to on day one. Trump’s takeaway: he still could have done so! 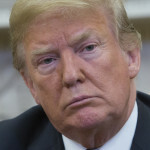 House Majority Leader Steny Hoyer (D-MD) said Thursday that nothing in the 400-plus page special counsel report changes his impression that Democrats should move forward with impeachment proceedings against President Trump. 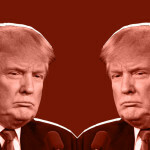 As the White House waited for the special counsel’s redacted report to come out this week, they were reportedly biting their nails in particular about what ex-White House counsel Don McGahn told Robert Mueller. Now that the report is out, it’s easy to understand why. Special counsel Robert Mueller’s redacted report paints vivid behind-the-scenes pictures of President Trump’s private fury about the Russia investigation. 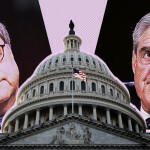 Attorney General Bill Barr has finally released his redacted version of the highly-anticipated report that represents the culmination of special counsel Robert Mueller’s 22-month investigation. 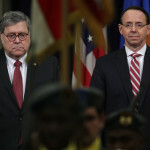 In a 20-minute Thursday press conference that amounted to an infomercial for President Trump’s innocence, Attorney General Bill Barr confirmed that both Trump’s own lawyers and the White House got to review the redacted Mueller report in advance. 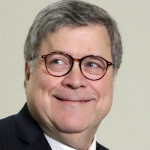 Attorney General Bill Barr will hold a press conference at 9:30 a.m. ET, over an hour before Congress and the public receive the redacted version of special counsel Robert Mueller’s report.